Last night’s TVO interview of Patrick Brown was a huge disappointment. This was the original rough copy of the dust jacket. The published book talks of the "attempted" political assassination of Brown. 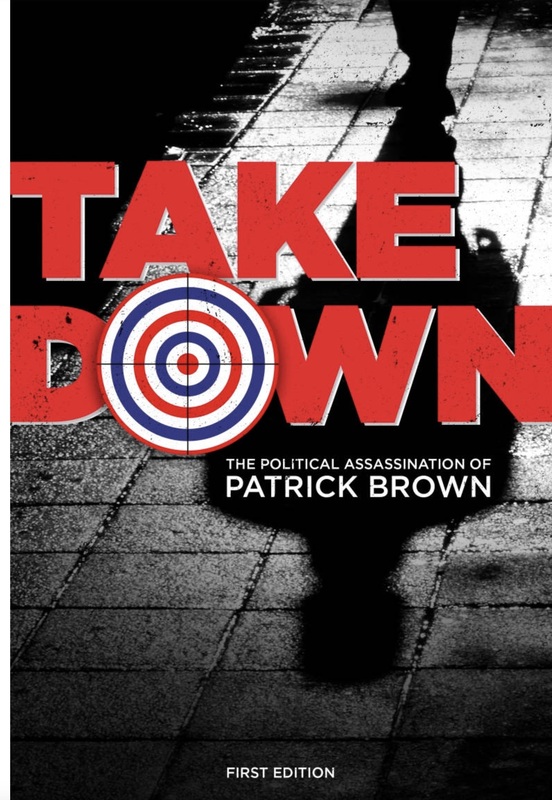 The new Mayor of Brampton was invited into the studio to talk to Nam Kiwanuka about his new book, “Takedown: The Attempted Political Assassination of Patrick Brown”. Instead of detailed forensic questioning he was given the kid glove treatment. The defining characteristic of Patrick Brown’s leadership of the Ontario Progressive Conservative Party was low ethical standards. But at no point in the interview was this issue addressed head on. Instead Brown was allowed to burble on about being unfairly targeted when he says he was just ahead of his time, dragging the old, white, rural based PCs into a more vibrant, tolerant and diverse future. This is complete hogwash. The PC Party under Brown was deeply corrupt. Nomination meetings were rigged. Voting fraud took place on an industrial scale. There are two active police investigations currently running. Membership numbers were (and possibly still are) inflated. And yet, last night, here he was again telling us there were two distinct sets of membership numbers in 2018 and no way of knowing which one was correct. Apparently, it all depends on who you believe. Brown or Vic “Rooting out the Rot” Fideli. Whose numbers should we believe? How many PC members are there? Does anyone know? Since candidates are (at least theoretically) selected by the membership, the number of members in total and by riding seems pretty important, at least to me. But the gaping hole in the interview concerned the 26 April 2018 report from the Integrity Commissioner, Mr Justice Wake, who found that Brown had misled him and had deliberately concealed the truth about a $375,000 loan used to finance his new home. The Commissioner recommended that Brown be reprimanded formally by the Legislative Assembly of Ontario for his failure to comply with the Members’ Integrity Act 1994. Patrick Brown the author of his own misfortunes or the victim of dark forces in the PC Party? This, of course, never happened. Brown was dumped. There was an election and Brown’s ethical failings became part of ancient history. But does that mean Brown’s low ethical standards no longer matter? That we should just look the other way? I am left wondering if he bothered to include this information in his tax return. We shall never know. “Of the four breaches of the (Members’ Integrity) Act, the most serious are those related to the non-disclosure of the loan from Mr. Johal. On all the evidence, I found that the non-disclosure of the loan, as with the rental income, was deliberate, and not through inadvertence. In Takedown, Brown says his friend Johal – the man who secretly loaned him $375,000 - decided to run for the Brampton North nomination in November 2016. Before then Brown apparently had no inkling that his friend harboured Parliamentary ambitions. But Johal told the Integrity Commissioner that he mentioned to Brown in 2015 that he was interested in running as a PC candidate. So, who do we believe? And at the end of the day does it matter? In the long run, would it have been better for the health of our politics and for good public administration for Patrick Brown to have been reprimanded by the Legislature last year? And if so, would TVO have found the time to ask Brown what it felt like? The Clock Tower Settlement: What aren’t we being told? 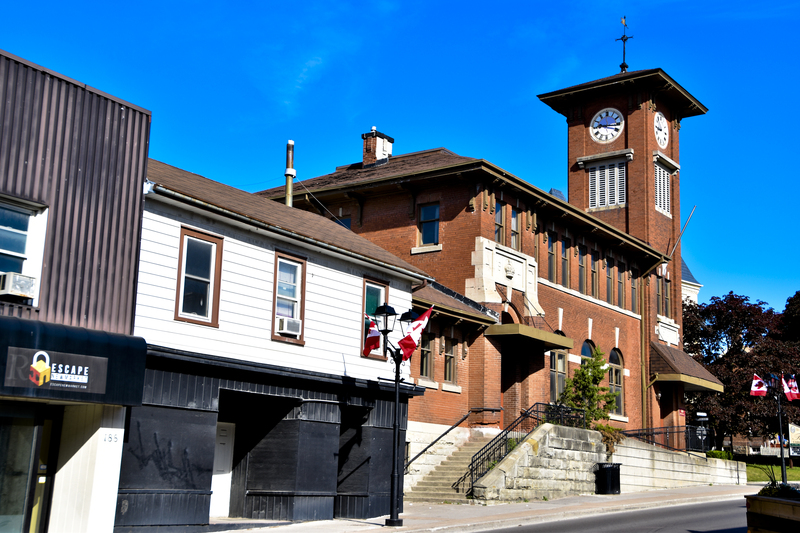 Background: The proposed redevelopment of Newmarket’s historic downtown at the Clock Tower on Main Street cast a dark shadow over the last term of Council. The then Mayor, Tony Van Trappist, was the only elected official to support Bob Forrest’s plans to build a huge condo in the heart of the Heritage Conservation District, blighting it forever. Fortunately, Van Trappist couldn’t persuade councillors to follow his lead. The Town’s ineffective Director of Planning, Rick Nethery, knowingly misled the public when he allowed a report to go up to councillors for decision on 28 November 2016 which contained information on the development’s purported density which he knew to be false. Forrest’s development application was rejected by the Town and, after a series of backroom manoeuvrings, the Town entered into an agreement with Bob Forrest’s Main Street Clock Inc (MSCI) on 2 May 2018 which allows Forrest to redevelop his lands while safeguarding heritage buildings which would not be demolished. We were told that a “New Development Concept” would be worked up by Bob Forrest and made available to the Town and to the public “very soon”. We are still waiting to see it. 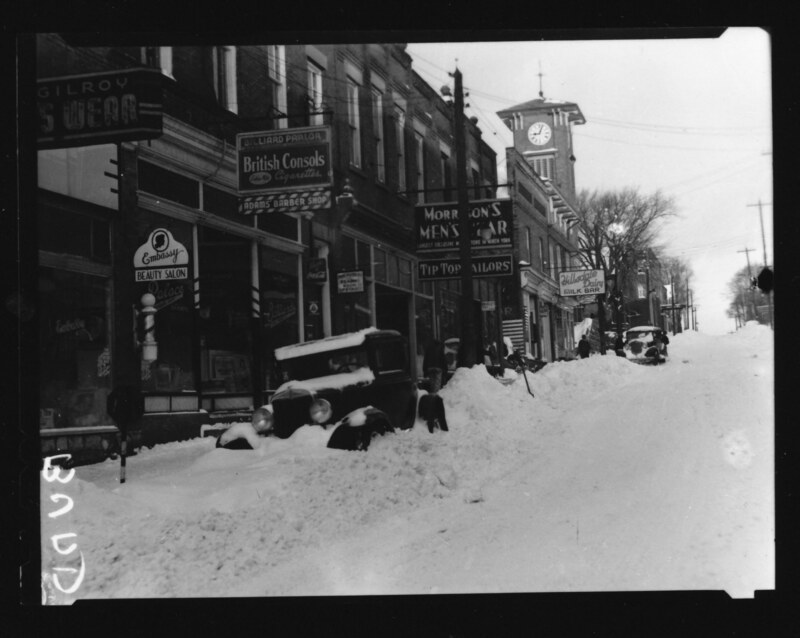 Yesterday, the Town’s Planning Department (Information Report 2018-48) told us the Minutes of Settlement, solemnly entered into by the Town and Main Street Clock Inc eight months ago, now require “clarification”. It is an amendment pure and simple. The Planners now say these ten private parking spaces would alleviate parking pressures in the area and that demolition of the rear parts of the historic commercial buildings should not be tied to the uses allowed on the upper floor – office or otherwise. They’ve done a somersault. Why did they change their position? Did they get it wrong first time around? Who asked for the “clarification”? Why was the office use stipulated and agreed to by both parties in the first place? What is the status of the clarification? Does it amend the crystal-clear wording in paragraph 26 of the Minutes of Settlement? When will we see the "new development concept"? Maybe the Director of Planning could give us an Information Report? Has the Heritage Advisory Committee been consulted? And if not, why not? 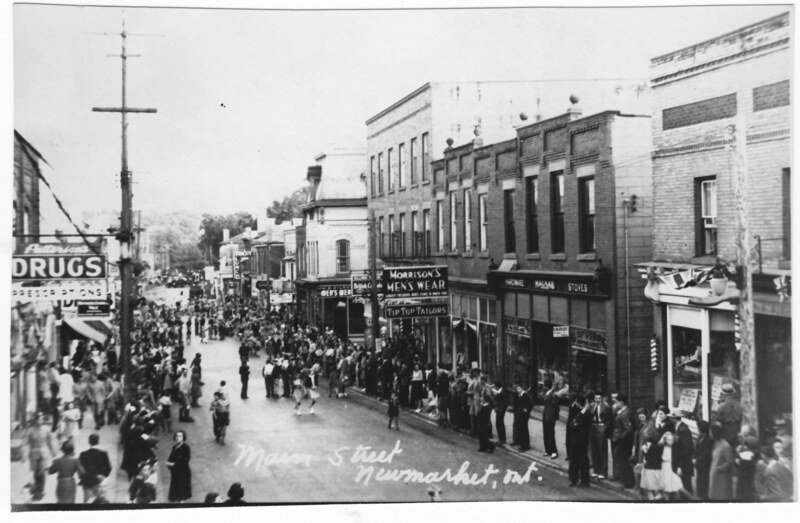 I recall the Chair of the Committee, Athol Hart, telling me the rear of 184 Main Street South had great heritage value. This was where the first female druggist in Ontario, Anne Mary Simpson, lived behind the apothecary. There was of course no public consultation on the terms of the agreement struck between the Town and Bob Forrest on 2 May 2018. It was sprung upon the public as a fait accomplis. And now it has to be clarified. Will there be more tweaks, amendments or “clarifications”? Perhaps on the start date which is now less than a year away? We are told construction “will commence no later than December 15, 2019”. Personally, I think Bob Forrest should now unveil his “New Development Concept” without any more ado. Maybe then everything will slot into place. Canadian Oxford Dictionary: Clarification (noun): The action of making a statement or situation less confused and more comprehensible. The Information Report was signed off by the Commissioner of Development and Infrastructure Services, Peter Noehammer, and the Director of Planning and Building Services, Rick Nethery. 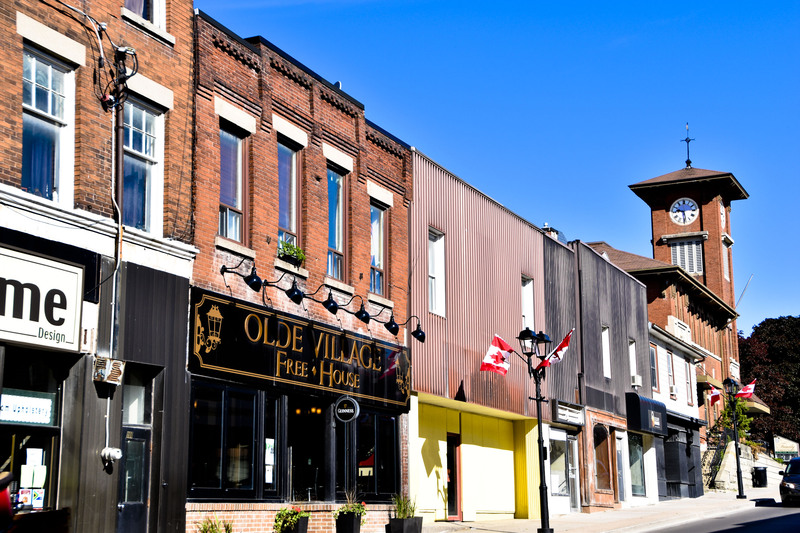 They believe the clarification “is consistent with the intent of the Minutes of Settlement and the Lower Main Street South Heritage Conservation District Plan”. Newmarket’s Southlake Hospital today finds itself at the centre of a major Globe and Mail investigation focussed on the head of its Emergency Department, Dr Marko Duic. The double-page spread by journalist Wendy Glauser highlights concerns about Dr Duic’s hiring and billing practices. He allegedly failed to hire any female doctors in 16 years. We learn that within months of Dr Duic taking over as Head of the Emergency Department in 2011, an open letter was signed by 14 doctors alleging bullying, coercion and intimidation of physicians. The Globe and Mail quotes doctors who worked with Dr Duic who say he encouraged the overuse of Ministry of Transportation forms which should be used when a patient is not fit to drive. These often lead to a driver’s licence being suspended or revoked. The signing doctor gets $35 per form. 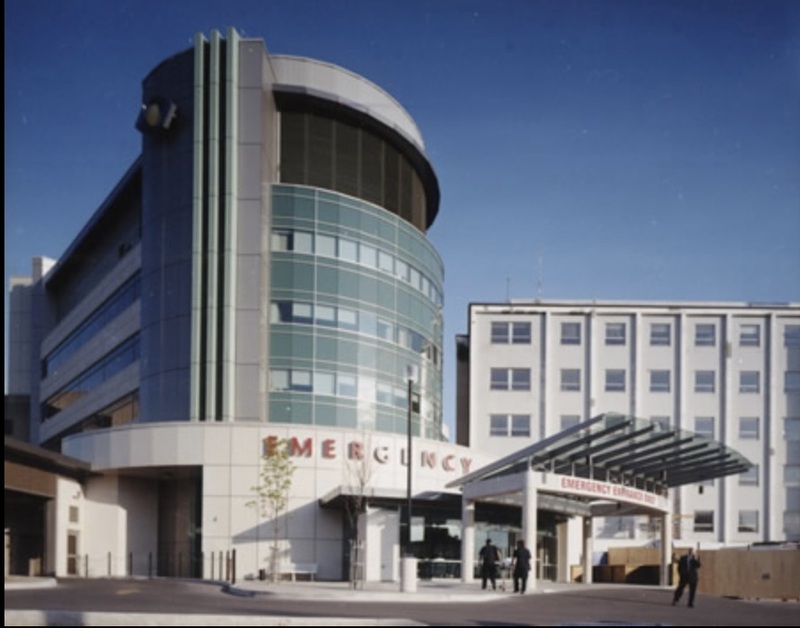 The exposé alleges Dr Duic also encouraged doctors to increase their use of psychiatric forms which are used to commit a patient to hospital involuntarily for up to 72 hours. This is done when doctors believe the patient is at risk to themselves or others because of a psychiatric issue. This nets the signing doctor $105. The suggestion is that this was done to boost billing income. Southlake is, of course, no stranger to controversy. In 2015 virtually the entire Southlake Foundation Board resigned in circumstances that remain opaque to this day. Doug Ford, Christine Elliott and the Greenbelt. Who believes anything Doug Ford says about protecting the Greenbelt? During the election campaign he was caught on camera telling developers he would allow them to build on a “big chunk” of the Greenbelt. Full of contrition, he dropped his “reckless promise” 24 hours after the incriminating video went viral. And now we have Bill 66 from the snake oil salesman in chief, Doug Ford. It doesn't protect the Greenbelt in its entirety. What are Christine Elliott's views on Bill 66? Full of indignation about the duplicity I write to Christine Elliott, who is Ford’s Deputy Leader and who happens to be my own MPP. I don’t know if she will bother to reply. I doubt it. Her track record in replying to constituents is pitiful. "You are my MPP and I am writing to express my deep misgivings about Bill 66 which could open up the Greenbelt to development. I am also concerned that our clean water laws – so important after Walkerton - could be subverted. I hope you will now take the time to address the points I make here on Bill 66. 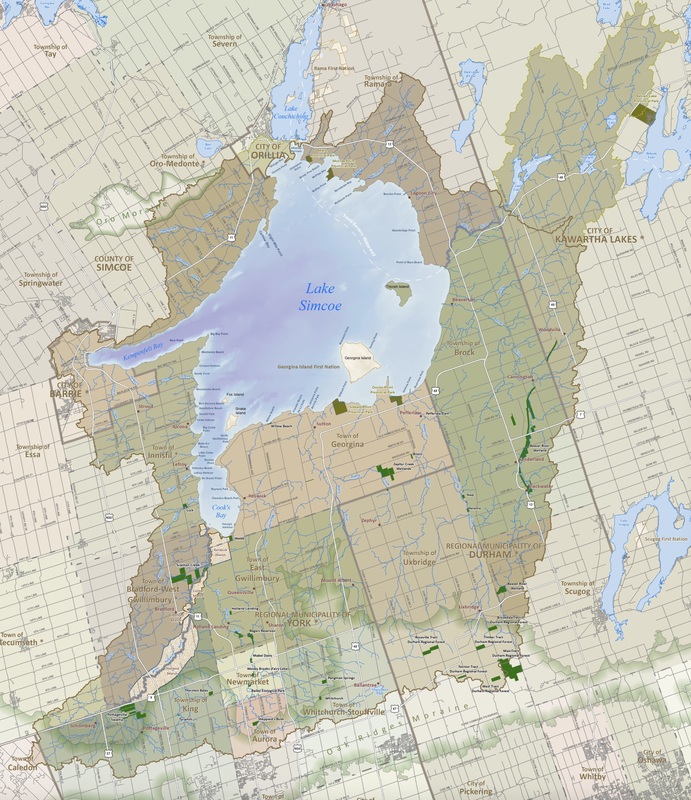 In the riding of Newmarket-Aurora we are surrounded by the Greenbelt and we sit in the middle of an area policed and protected by the Lake Simcoe Conservation Authority. Would it be possible for you to let me have details of any consultations to date? I have copied the CELA comments at the end of this email for ease of reference. 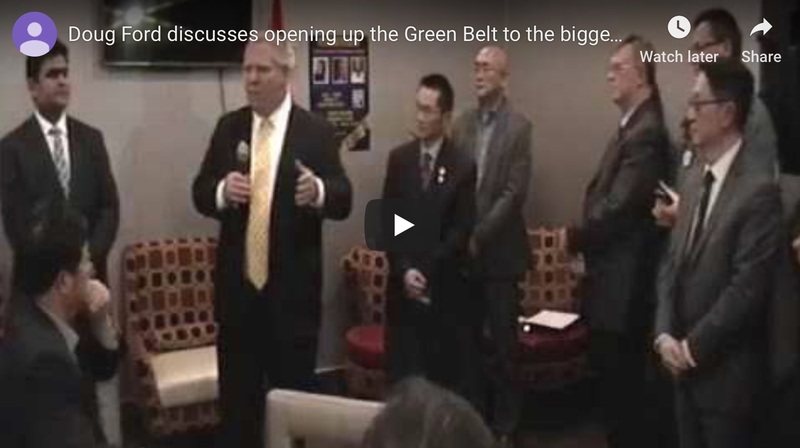 How does Bill 66 propose to rationalise the Greenbelt? Is it still your view that individual property rights are affected by Greenbelt legislation and, if so, in what way? On the Bill’s third reading on 1 December 2008 you said an important goal of the Lake Simcoe legislation was to protect the water supply for future generations. In the light of the comments made by the CELA can you explain how Bill 66 will maintain all current clean water safeguards? And what is the purpose of repealing the Toxics Reduction Act? I hope to receive a timely reply from you on the matters I raise." The Canadian Environmental Law Association has now made its views crystal clear. Theresa McClenaghan and Richard D. Lindgren, Executive Director and Counsel, Canadian Environmental Law Association posted this on the CELA website on December 7, 2018. · Amending the Planning Act to enable municipalities to pass “open-for-business” zoning by-laws that do not have to comply with prescribed provisions in the Clean Water Act, Greenbelt Act, 2005, Great Lakes Protection Act, Lake Simcoe Protection Act, 2008, Oak Ridges Moraine Conservation Act, 2001, Resource Recovery and Circular Economy Act, 2016 and other provincial statutes. As a matter of law, section 39 of the Clean Water Act currently requires all Planning Act decisions to conform to policies in approved source protection plans that address significant drinking water threats prescribed by the Clean Water Act(e.g. landfills, sewage systems, and the storage or handling of fuel, fertilizers, manure, pesticides, road salt, organic solvents and other substances on lands near wells or surface water intake pipes used by municipal drinking water systems). In our view, this important provision must remain applicable to all municipal planning and zoning decisions in order to protect public health and safety. Over the summer the car park and play area of the Canadian Martyr’s Catholic Elementary School in London Road, Newmarket was dug up and reconstructed. The work began the first work day after the school closed in June and ended just a day before school reopened in September. The School car park (on the right) is only yards from neighbouring properties. In August the contractor, Joe Peluso, brought in heavy equipment to pound down the aggregates sending vibration shock waves through adjacent properties in Harrison Drive – where I live. Our homes are only a few yards from the property line. One resident spoke of pots and pans dancing about on the stove top. In my house, china rattled and tinkled. One neighbour called the police. Cracks appeared in garage walls that weren’t there before. A 35,000 gallon swimming pool a few yards from the property line we are told started losing water. We took our concerns about vibration and damage to the York Catholic District School Board. We wanted the Board to commission jointly with the residents a structural engineer to inspect our properties for damage caused by the vibration. The school Board would pay the lion’s share and the residents – as wholly innocent third parties - would pay a nominal sum. The School Board wasn’t having any of that nonsense. They told the residents they should claim for any damage through their own insurance policies (always assuming they had appropriate cover). It was their problem. Not the Board’s. In 2014 the Town resurfaced Harrison Drive and to its credit told residents what was happening where and when. There was a phone number with an engineer on the other end of the line. Residents could have their properties photographed to facilitate any claims for property damage arising from the construction work. 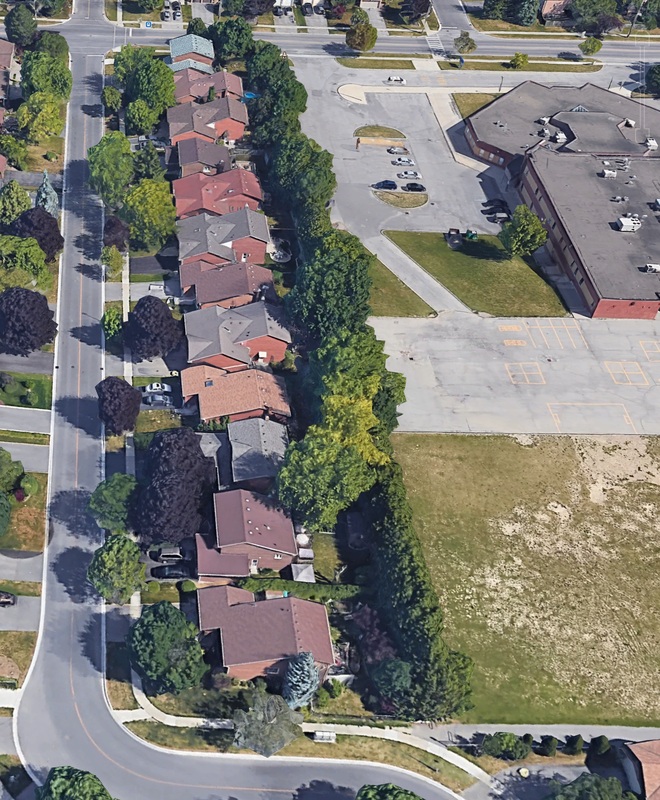 At no stage did the School Board inform or consult Harrison Drive residents about the planned work and what they could expect. Tomorrow, the Town’s Committee of the Whole will be reviewing its forward work programme and I see councillors will be considering this very issue: property damage from vibration arising from construction. I hope Harrison Drive will be used as a case study. The York Catholic District School Board is washing its hands of the problem. They say residents should claim against their own insurance policies, forfeiting their no claims record and paying deductibles. And, remember, the residents are wholly innocent third parties. I want to see a new by-law compelling the York Catholic District School Board and anyone else involved in construction to adopt protocols informing residents of planned construction work and what they can expect. And to pick up the tab for any damage. It is not just the residents of Harrison Drive who are being put through the wringer. Earlier this year a Newmarket resident, Stuart Hoffman, took a deputation to Council complaining about vibration damage caused by construction. He forced the issue on to the Council’s agenda. That the aforementioned motions be referred to staff for a report back including options and resource requirements.